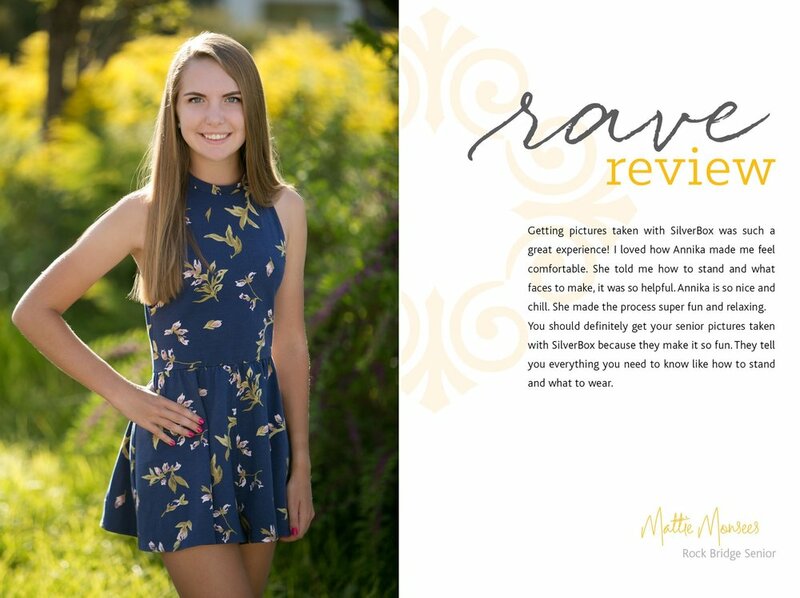 My, my, my Mattie is a showstopper! She can rock a baseball hat, loves Christmas, and thinks french toast is heaven sent. Mattie craves adventure and loves to see the world. With legs for days, Mattie runs cross country and plays varsity golf. She's a thoughtful friend and dreams of being a campaign manager one day. student of • Rock Bridge High School self-defined as • thoughtful dream job • campaign manager weirdly passionate about • Christmas and 1800s Fashion last meal • French toast from Cafe Berlin most like to visit • Europe loves SilverBox Seniors because • They are the best in Columbia and look very professional but not too edited.